This glorious poached trout recipe makes a fantastic main course for an Italian seafood feast. The dish is wonderfully simple to put together, and served with a delicious mustard and yoghurt sauce. 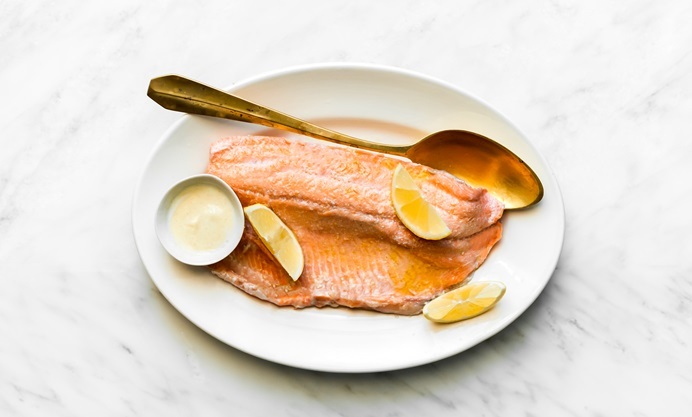 This is a simple yet effective way to cook trout. Poaching the fish from cold ensures a tender result, while the aromatics will impart flavour without overshadowing the fish’s sweetness. 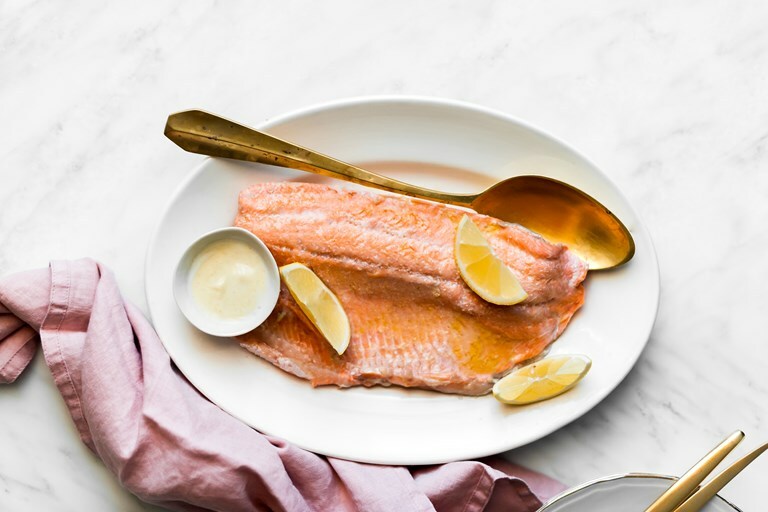 Served with a light yoghurt, mustard-accented sauce, it makes for an elegant yet unfussy main course.